Imitation Pearl Bib Necklace Only $4.99! You are here: Home / Great Deals / Amazon Deals / Imitation Pearl Bib Necklace Only $4.99! Oooh, y’all, I am LOVING this necklace! 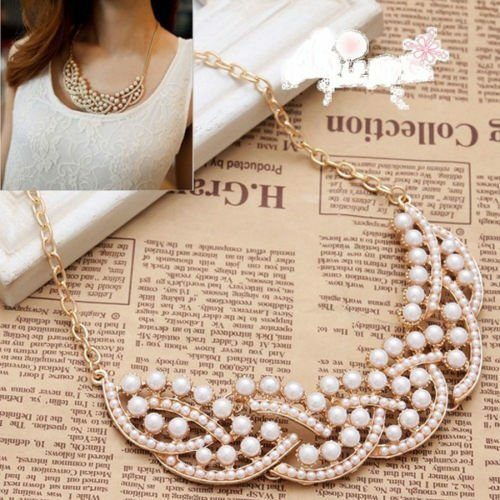 Right now, you can get this really pretty Imitation Pearl Bib Necklace for just $4.99 with FREE shipping! I love this necklace because it is so versatile – wear it with a casual outfit or dressy it up with nicer attire. It can go with anything!